Join us for an evening of author readings and discussions for families, and support the Cedarbrook library, too! We are excited to present several authors of books for middle grade and young adult readers. Throughout the evening, they will give readings and answer questions about their work. They will talk with the kids about their books and about writing, and sign and personalize their books for you (great holiday gifts!). Open Book Bookstore will be there with a pop up bookstore, so you can purchase the authors’ books. We will also have a full selection of books chosen specially by Cedarbrook librarian Jeffrey Hopkins so that you can support the library and help them add to their collection and fill out their beautiful new space! This event is free and open to all, including Cedarbrook families and their friends, and all local readers who would like to meet these great authors and support a new library! Jon’s newest book is Spliced. Just a few years from today, in a world slightly changed from ours, young people modify themselves by splicing animal genes into their own to become chimeras. Great story! Get it and read it before the sequel Splintered comes out next spring! 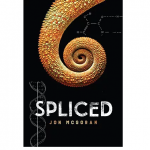 Spliced was named to the American Library Association’s inaugural 2018 LITA Excellence in Children’s and Young Adult Science Fiction Notable List, and to the American Bookseller’s Association’s 2017 ABC Best Books for Young Readers. 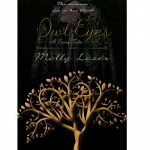 By day an English teacher at Cheltenham High School, Molly is the author of Owl Eyes: A Fairy Tale. Nora knows three things: she is a servant, her parents are dead, and she lives in the kitchen house with her adoptive family. But her world is torn apart when she discovers that her birth father has always been right there, living in the house she serves. Owl Eyes: A Fairy Tale was a finalist for the 2018 National Indie Excellence Award and was shortlisted for the 2018 Dante Rossetti Award. 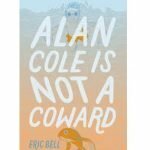 Eric’s debut novel is Alan Cole is Not a Coward. It’s a hilarious and poignant tale about the trials of middle school when you’re coming of age—and coming out. 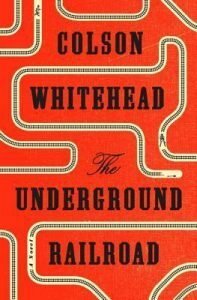 In the sequel, Alan Cole Doesn’t Dance, he deftly explores with nuance and humor how the first step to complete self-acceptance may mean actually putting your feet on the dance floor. This laugh-out-loud and poignant tale is perfect for fans of Gary Schmidt and Jerry Spinelli.